تقع شقق Kupari على بُعد 50 م فقط من شاطئ سيرفرز بارادايس، وتتميز بأنها مستقلة بالكامل وكبيرة وتوفر إطلالات على المحيط، ويضم مكان الإقامة مسبحًا في الهواء الطلق ومنطقة للشواء. ويتوفر موقف سيارات مجاني في الموقع. ويمكن للضيوف الاستمتاع بـ 300 ميغابايت من خدمة الواي فاي المجانية لكل جهاز في اليوم الواحد. تحتوي جميع الشقق على مرافق غسيل الملابس ومطبخ مع غسالة صحون وميكروويف. تحتوي جميع الشقق العصرية على منطقة جلوس واسعة مع تلفزيون ومشغل دي في دي، تقع شقق Kupari Boutique على بُعد 10 دقائق سيرًا على الأقدام من شارع Cavill وعلى بُعد 10 دقائق بالسيارة من كازينو Jupiters، ويبعُد مطار غولد كوست مسافة 30 دقيقة بالسيارة. يمكن لمكتب الجولات السياحية حجز الرحلات البحرية لمشاهدة الحيتان والرحلات النهارية إلى ساحل صن شاين. وتتوفر خدمات تأجير السيارات ومجالسة الأطفال عند الطلب. Great, the hotel owner is friendly and nice. Able to help us. Proximity to trams, ocean views and friendly owners. Our stay at the Kupari Boutique Apartments was a great experience. The staff were very easy going and super friendly, Phil was helpful with plenty of tips and knowledge about how to get around, etc. Rooms were very spacious and boasted an excellent view of the ocean. Was a shame our holidays only lasted 3 nights. 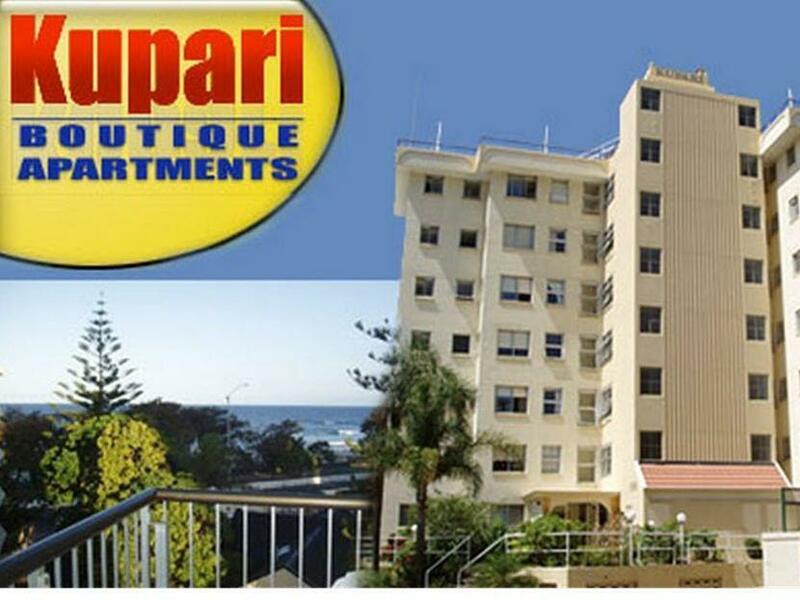 Will definitely be considering the Kupari Boutique Apartments for our next stay in the Gold Coast. I have always trust reviews but in this case they got it wrong. I stayed in room 8 in Kupari Apartment. The apartment floor was dirty and oily. The tiolet fittings were rusty and the laminate on the toilet cabinet was peeling off. The wifi was down for two days and they can't fix it. I have stayed in many apartments for my family holidays but this is most probably the worst. I wonder how recommended it highly. Next time I will take rating with a big pinch of salt. Great holiday convenient to tram shops and beach. Staff friendly and helpful. Very good, the staff is very helpful, location is super, easy access to everything. It very good place,clean and cosy apartment to stay, not far from attraction place at surfers paradise such as wax museum, hard rock cafe and night market, just walk around 10 , 15 minute you will arrive destination and very excitement place. staff was very friendly and helpful. Just wanna say this apartment actually like home! I love the view on the window, whereby we can see the surfer paradise beach and it was within 5 mins walking distance. Very close to any restaurants. People are very friendly. The apartment have 2 bedrooms and have 3 toilets!. It is very spacious but alittle old so the carpet has smells. Value for money and I willd efinitely come back again. The weakness is that the staff often go out and not in the office. And they do not clean the apartment even if we stayed for 4 days. But they are helpful if you ask for things. Warm greetings from apartment manager when we reach the hotel. Hotel is 10-15 minutes walk distance to central Surfer's Paradise, where you can get your food and shopping at one location. There is a mini market next to the Apartment (less than 5 mins walk) and you can get your food stuff / SIM Card / Reload coupon from there. Convenient location as there are bus stops nearby to most of the tourist attractions (Currumbin Wildlife / SeaWorld etc). Located minutes walking distance away to the beach, provided free car park lot at the basement, old and scary lift to the rooms, helpful and informative front desk regarding any inquiries about directions, bought some attractions theme park tickets and got some discounts, toilet paper provided are left little and not sufficient; asked to replenish but refused as they claim they are not serviced apartments (luckily good enough to provide me some garbage bags for my rubbish),kettle provided was black and dirty inside, however overall a good experience if your expectation is not too high. It was a good stay. I stayed there for 3nights. It was only about 10 minutes walk to the beach and the main street of surfers paradise. The room was clean but the light of the laundry was out... but it was not much a matter to me. I would like to stay there again. Had a great four nights at Kupari. The owner was very friendly and helpful. The room could probably do with some refurbishment but it suited us just fine. Great location - within walking distance of Surfers Paradise, the beach, shops, restaurants and bars, and within driving distance of the airport and theme parks. Great low cost option, plus you can save more money with the use of your own kitchen and laundry. 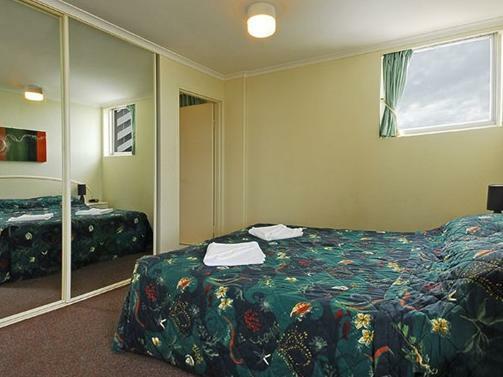 comfortable, spacious, within walking distance to shops, beach, entertainment. As a mom with 4 young boys , I really need a kitchen as my boys (and hubby too) enjoy eating.This hotel is just like home.After tiring activities, we really look forward of going "home" to our apartment. It is equipped with all facilities needed like a washing machine, dryer, dishwasher, stove,microwave, kettle..I prepare meals everyday as there is a complete kitchen.We save a lot staying in this apartment.